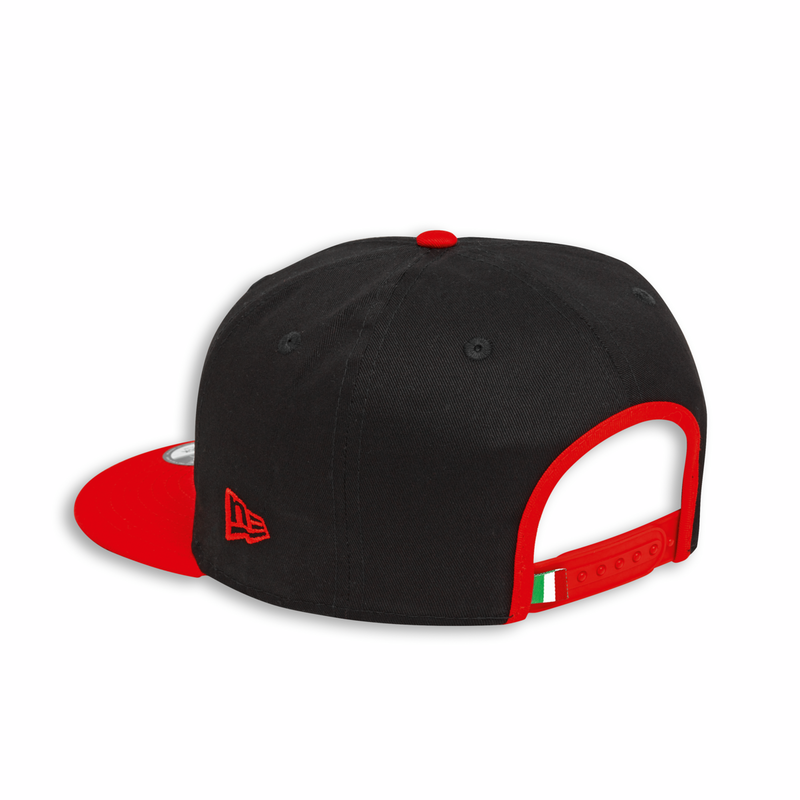 Black with flat red visor, the Corse Snaparch cap ensures a 100% racing touch for your look. Made of pure cotton, it features the Ducati Corse logo on the front. Ducati and New Era, a perfect combination of style.